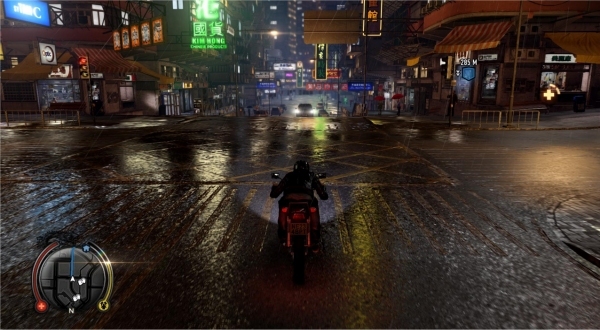 There are a few reasons why people might have fallen in love with Square Enix's Sleeping Dogs, even though the game didn't quite turn over the profit that Square might have been hoping for, following the acquisition of the brand after Activision cited ballooning costs and poor annual franchise possibilities for the now iconic open-world title. For most of everyone who played the game it's not hard to see why people fell in love with it, from the sparkling night life to the dynamic fighting mechanics, the game managed to carve out its own unique take on the open-world genre without becoming too much of a standard GTA clone or getting lost in its own image like Saints Row. One of the things that United Front Games did that few other open-world titles have managed to do, is create a compelling and dynamic fighting system. EA came close to becoming the king in this area with – at the time – revolutionary, interactive fighting in their first Godfather title. However, quality was not on the table for the sequel and EA promptly, readily and easily dropped the ball. And even though the original True Crime: Streets of L.A had a pretty good system, it wasn't something that was as intuitively interactive with the open-world as EA's title, since a lot of the fighting took place in instanced areas. 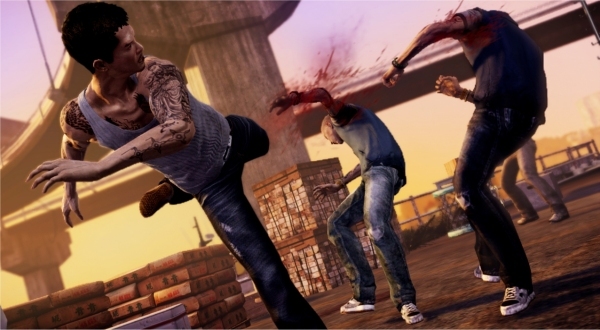 United Front Games fixed the issue of interactivity, fluid combat and multi-opponent mechanics with Sleeping Dogs. The game borrowed a counter-mechanic from The Matrix: Path of Neo, allowing players to easily and fluently reverse and counter moves, as well as pull off some just-barely-complex enough fighting moves. Alongside Saints Row 2, Sleeping Dogs has one of the most intuitive and fluid open-world fighting systems on the market. One of the most praised features of Sleeping Dogs is the way the game depicts the night life of Hong Kong. There's never been an open-world game with the sort of lively presence of lights, life and liveliness quite like the way it's depicted in Sleeping Dogs. A lot of it has to do with the game's use of shader technology and how reflections and light scattering is used to give the game a vibrant and dynamic look during the twilight hours of the game's day and night cycle. United Front Games did a marvelous job making sure that the rainy wet streets look amazing and the light sources draw the player in with all the busyness of the bustling Hong Kong urban life. The only downside is that the game's night streets – while full of walking pedestrians and sometimes full-up of taxis and buses – lacked a lot of the interactivity one might find in a Grand Theft Auto game. There were massage parlors and some quick-meal shops that could be entered, but it was all kept rather limited. 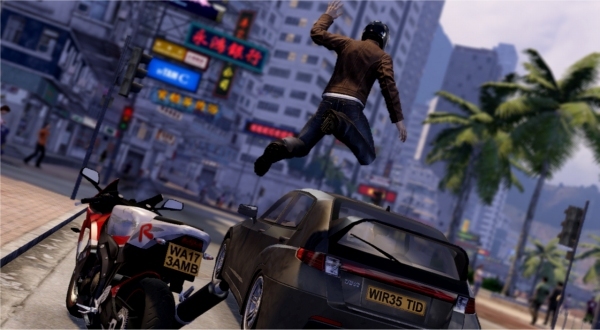 Still, the look of Sleeping Dogs' take on Hong Kong's night life is still a sight to behold. Imagine one part Just Cause and one-half Road Rash and you have yourself an idea of what Sleeping Dogs' vehicular combat segments are like. The game offers players the ability to partake in combat segments across the highways like very few other games out there. In fact, other than Just Cause and Vin Diesel's The Wheelman, it's not really a common feature to be able to leap from one moving vehicle to the next and throw the driver out onto the road. Sleeping Dogs takes things a step further by allowing for unadulterated road carnage that is usually only relegated to Hong Kong action flicks and Hollywood blockbusters. Shooting out the front tire will cause a car to dynamically flip in the air, in which case players are then able to shoot the gas tank and send the car flying sky-high in the air. It's all very smooth and looks great in action. It's rare we get to play as an Asian for the main protagonist in a story-oriented game, it's even rarer that the game is something standout, memorable and will go down in history as a must-have game. While games like Jackie Chan's Stuntmaster, True Crime, Rise to Honor and Stranglehold gave us some iconic characters, only True Crime rose out of the ashes as a game that still holds up today, as well as one of the few games that actually sold quite well. The others? Well, Stuntmaster was frustratingly-okay and Stranglehold was more like an arcade shoot-'em-up than the Max Payne-style game that we all thought it would be. 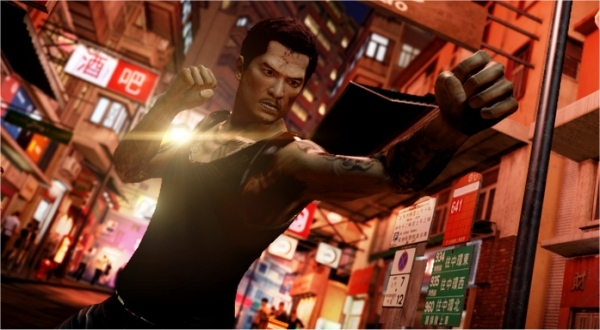 In the case of Sleeping Dogs, the game lives up to a tall order of offering gamers an above-average crime drama with a few twists that even some of the most jaded narrative junkies probably won't see coming, as well as a conflicted, evolving, dramatic and wise-cracking protagonist in Wei Shen, voiced by actor Will Yun Lee. 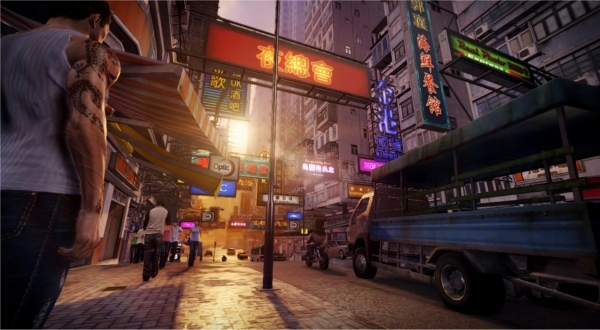 As if it needs any bearing to mention, the real hook for Sleeping Dogs has been in the game's open-world structure and gameplay. You can venture around and take on side-missions, help out random pedestrians, partake in some police pursuits (if you have the DLC) or just travel around the world and pick fights with gangsters and strangers. There is enough to do in the game to fill out around 20 good hours of gameplay. The only complaint about the game is that all the missions and side-missions can be easily completed without needing to be repeated for any real reasons, opposite of a game like GTA: San Andreas where you could gain additional stats, earn some extra money or just have fun doing silly things like delivering pizzas or robbing houses at night. Perhaps in the sequel, Sleeping Dogs: Triad Wars, the game will offer up a few more repeatable side activities to partake in to help keep the game world alive well after beating the main story mission. A “New+” might be in order, eh?